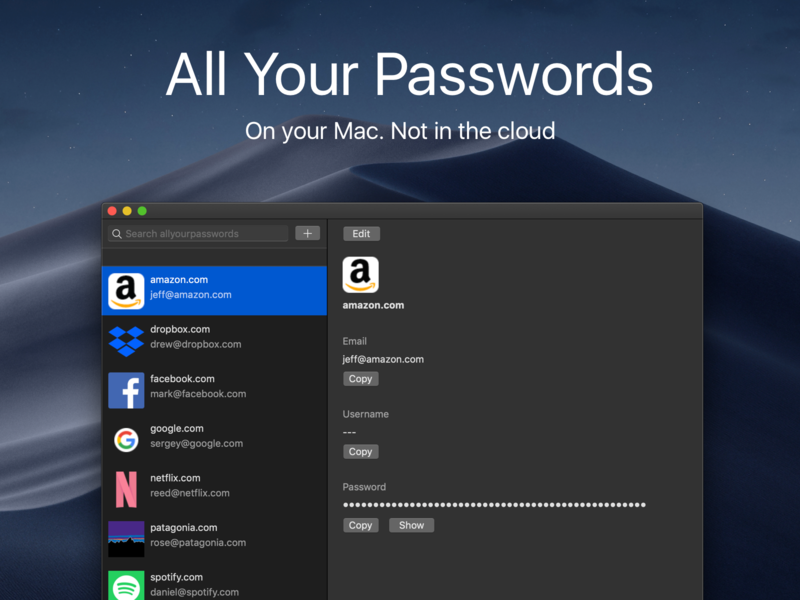 Store all of your passwords on your mac. Not in the cloud. The swift, open source, offline password manager. Your passwords are stored in an encrypted sqlite database on your mac, not in the cloud. Not sure if I'm telling the truth. Well I am telling the truth baby! Check the source! Then come back and buy! There is no privacy jeopardizing chrome extension. Instead you have CMD+C for passwords and CMD+B for emails/usernames!